The Ministry of Foreign Affairs of Kazakhstan informed the U.S. Embassy in Astana on August 9 that Kazakhstan is suspending intercountry adoptions to the United States, effective immediately. Ambassador Susan Jacobs, Special Advisor for Children’s Issues, met with government officials in Kazakhstan on August 16 to address the Ministry’s concerns. The Ministry clarified that the suspension involves a pause in adoption referrals, but does not affect Kazakhstan’s ongoing process to authorize U.S. adoption service providers. The Department of State is continuing discussions with Kazakhstan as a Hague Adoption Convention partner, and will provide updated information on adoption.state.gov as it becomes available. The following agencies are listed in the report as having one or more substantiated complaints. Please use the COA link to view the specifics of each report. Also, please note that COA does not publish the specifics of corrective actions, those are considered "confidential" and can only be disclosed by the agency itself. Being that COA takes 12-18 months to investigate complaints and that the specifics of corrective actions and complaint facts are not published, we do not believe the information provided through COA is sufficient to provide protection to potential adoptive parents, families of origin, or children. We suggest that families looking to use the services of a Hague accredited agency thoroughly research every agency and use the COA reports only as a starting point. On July 25, the Moroccan newspaper Akhbar al-Youm (Today's News) published a story on Justice Minister Mostafa Rahmid's views on the granting of kafala (guardianship) to non-Muslim, non-resident foreigners. The article quotes Minister Rahmid as saying that he has decided to "stop granting guardianship of Moroccan children to foreign families", insisting that "guardianship of abandoned children is for Muslims, and foreign Muslims residing in Morocco." The Minister subsequently stated that kafala guardianship would only be considered for those foreign families who are long-term residents in Morocco. The status of pending kafala petitions by U.S. citizens is unclear. U.S. citizens wishing to obtain kafala of Moroccan children should be aware that is unclear at this time whether the courts will accept new kafala petitions. 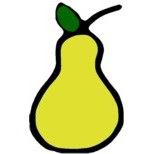 PEAR will be closely monitoring any developments concerning this announcement. The following press release was made yesterday by the Office of Children's Issues. We are assuming this in response to the recent scandal in Kyrgyzstan involving misconduct by US adoption agencies and the subsequent suspension of their accreditation in Kyrgyzstan. We request the US DOS to disclose the identity of the agency alleged to have given bribes to the Kyrg Minister and that the DOS will ensure that the Counsel on Accreditation thoroughly and effectually deals with any agency who has participated in this scandal. The families who have been waiting for years to complete adoptions in Kyrgyzstan need the full assistance of ethical agencies. Further delays caused by the misconduct of US Hague accredited agencies are unconscionable. Special Advisor for Children’s Issues Ambassador Susan Jacobs will visit Kyrgyzstan from August 13-15. As part of the State Department’s commitment to facilitating ethical and transparent intercountry adoptions, she will discuss the protection of children and the intercountry adoption process. This is the Special Advisor’s fourth trip to Kyrgyzstan to discuss these topics. In 2008, Kyrgyzstan suspended intercountry adoptions, and many U.S. families who began the adoption process prior to the suspension are still waiting for their adoptions to be finalized. As part of her trip, Ambassador Jacobs will urge the Government of Kyrgyzstan to resolve these adoptions as quickly as possible, keeping the best interests of the children in mind. She will also meet with other organizations interested in child welfare issues. USCIS has published an updated version of its country information for Nepal. According to USCIS, "These revisions do not present any significant updates on adoptions in Nepal . Rather, they consolidate existing information and explain the current process for adopting children from Nepal. As this information is intended to help the public, please feel free to share this information." The U.S. Government is currently adjudicating intercountry adoption petitions filed on behalf of Nepali children who have been relinquished by a known birth parent(s) whose identity and relationship can be confirmed. The U.S. Government is not adjudicating adoption petitions filed for Nepali children who are described as having been abandoned. On August 6, 2010, the U. S. Department of State and U. S. Citizenship and Immigration Services (USCIS) suspended processing of new adoption cases from Nepal involving children claimed to have been found abandoned because documents presented in support of the abandonment of children in Nepal have proven unreliable. USCIS and the U.S. Department of State continue to strongly recommend that prospective adoptive parents refrain from adopting children from Nepal due to grave concerns about the reliability of Nepal’s adoption system. We also strongly urge adoption service providers not to accept new applications for adoption from Nepal. The U.S. Government continues to encourage the Government of Nepal to work with the international community, including the Permanent Bureau of the Hague Conference on Private International Law, to implement the Hague Adoption Convention and reform its adoption process to protect children and families. There are special filing instructions in place for adoption petitions under the orphan system involving Nepali orphans. For more information, please see the page called “Special Instructions for How and When to File Adoption Petitions on Behalf of Nepali Children. USCIS is responsible for the adjudication of the Form I-600, Petition to Classify Orphan as an Immediate Relative. In overseas locations where USCIS does not have an office, such as Nepal, USCIS has delegated limited authority to Department of State consular officers at U.S. embassies and consulates to accept in-country filings of Forms I-600 in certain circumstances and to approve petitions that are clearly approvable. Form I-600 petitions found by the consular officers to be “not clearly approvable” are then forwarded to the USCIS office overseas with jurisdiction over that location for adjudication. The USCIS office in New Delhi, India, has jurisdiction over petitions filed with the U.S. Embassy in Kathmandu, Nepal. On August 6, 2010, the Department of State and U.S. Citizenship and Immigration Services jointly decided to suspend adjudication of new adoption petitions and related visa issuances for children who purportedly were abandoned in Nepal. In early August 2010, a joint assessment team from the U.S. Department of State and USCIS travelled to Nepal and performed a detailed analysis of the evidence being presented to document the abandonment of children in Nepal. The team found that information presented in support of orphan petitions included vague and self-contradictory testimony and documents. Local officials were often uncooperative or appeared to purposefully mislead or deter investigations. The U.S. Government committed to complete the processing of the 65 cases where U.S. families had received an official referral of a Nepali child before the announcement of the suspension (these cases are referred to as “pipeline” cases). On January 5, 2011, Nepal’s Ministry of Women, Children and Social Welfare announced that children found by the police and considered abandoned will not be available for intercountry adoption until further notice. In January 2012, Nepal’s Ministry of Women, Children and Social Welfare announced on its website that there may be children who could be considered eligible for intercountry adoption by the Government of Nepal as relinquishment cases (meaning that the children had become orphans by virtue of having been relinquished by their birth parent(s)). Due to the concerns regarding the reliability of Nepal's adoption system, any future relinquishment cases received by the U.S. Embassy in Kathmandu will require thorough investigations, which may include birth parent interviews and DNA testing. USCIS cannot estimate the time any investigations may take to complete. Prospective adoptive parents should be aware that investigations may require significant time and would likely result in an increased financial burden.